Guns are one of the biggest threats to your hearing. They can cause instant, permanent and irreversible damage to your ears. Understandable, given the fact that a gunshot produces sounds at 120¬–160 decibels – louder than a jet engine. 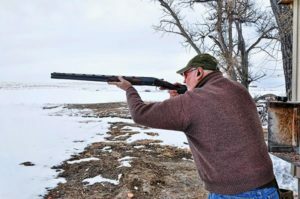 Many hunters, police officers, sharpshooters and military personnel avoid wearing basic earplugs because they block out both important, safe sounds and damaging sounds simultaneously. Military and hunter’s molds solve this problem by distinguishing between good and bad sounds using advanced digital and mechanical technologies. Earmolds for hunters, soldiers and police officers can be customized for your ears or purchased in universal forms. Custom hunter’s molds offer the benefit of a tight, secure fit specific to your ears. Universal models are a less expensive alternative that still offers better protection than earmuffs, headphones or fingers. How Do Hunter’s Earmolds Work? Hunter’s molds use specialized features that eliminate damagingly loud sounds while still letting important, subtle sounds enter your ears. These earplugs can be created using individual molds from your ears or bought as generic plugs. They use an acoustic filter to block out loud sounds while amplifying those at low decibel levels. This way, you can hear rustling twigs, quiet speech and other important but subtle noises while protecting yourself from permanent hearing loss. Hunter’s molds also have a tiny valve opening that is designed to automatically close when hit with sound waves at damaging decibel levels. This valve means your hearing is protected even if you’re not the one shooting a firearm. This feature is highly useful for the police force, military members and people shooting at a range with other gunmen. If your work or hobbies bring you around firearms often, it’s vital to protect your ears and prevent substantial damage to your hearing. At Hear Well Center, hunter’s molds are one of our custom earmold specialties. Give us a call to find out about our available models today.